There are big victories in the federal spending bill you probably haven’t heard about. It includes long overdue dismantling of U.S. funding to countries and organizations that support terrorism. First, I will address the defunding of the Palestinian Authority. In Part 2 I will discuss the cutting of aid to Pakistan and the demand that they release the Doctor that helped us find Osama Bin Laden, which is also in the omnibus spending bill. The Palestinian Authority (PA) is the governing body over the Arab residents, Palestinians, in the Judea and Samaria area of Israel also known as the West Bank. They are the Fatah political party. The Palestinian Authority has residents in eastern Jerusalem and throughout the West Bank. They depend heavily on U.S. assistance for security cooperation with Israel, humanitarian aid and other programs under the facade that they seek peace with Israel. However, rather than honestly negotiating with Israel for peace, they famously teach their children and youth hatred and terrorism, to ‘kill the Jews.’ Terrorism against Jewish citizens across Israel, especially in the West Bank and in Jerusalem, is a weekly if not daily occurrence. The Palestinian Authority (PA) pays the families of terrorists a monthly stipend to honor their family member that commits a stabbing attack, car ramming attack, or other atrocity against Jews. This is called by many in the U.S. House and Senate a “Pay to Slay” policy. The PA calls it the “martyr program”. The Jerusalem Post described the PA financial support of terrorism as a “fundamental pillar of its welfare system.” They pay the family based on how terrible the attack is and how long they get sentenced to an Israeli prison. According to the Jewish Journal, the PA provided $347 million to Palestinian terrorists and their families in 2017. This gives the family of a terrorist well beyond what the average Palestinian earns per month for attempting to or killing a Jewish Israeli. The U.S. gave the Palestinian Authority $357 million in 2016. The current U.S. law before the spending bill required a reduction of U.S. assistance by an amount equivalent to that paid by the PA, or any affiliated organization, to individuals or the families, who have committed acts of terrorism. This is according to a press release by the American Israel Public Affairs Committee. However this decrease in U.S. financial assistance has not stopped the promotion of, and paying for, terrorism by the Palestinian Authority. WHAT IS THE TAYLOR FORCE ACT? The Taylor Force Act, originally written and introduced by Senator Lindsey Graham (R-SC), finally defunds American assistance to the Palestinian Authority unless they stop their “pay for slay” practice. Taylor Allen Force was a 29 year old West Point graduate, army veteran and MBA student at Vanderbilt University. He had served in Iraq and Afghanistan. In 2016 Taylor and his group from Vanderbilt were enjoying the seaside promenade in Jaffa when a knife wielding Palestinian terrorist began stabbing anyone he could reach, killing Taylor. The 22 year old Palestinian terrorist was shot dead by police after a chase. Fatah, the political organization behind the PLO and the Palestinian Authority celebrated the murder of Taylor Force and other victims of the attack, praising the perpetrator, Masalha, as a “heroic martyr”. It named him and two other terrorist attackers as “the pride of all of the young Palestinians” and urged future terrorists to go on killing in their name, according to Frontpage Magazine and other sources. Senator Lindsey Graham had been pushing for the defunding of the Palestinian Authority unless they stopped promoting and incentivizing terrorism for years. He decided this legislation would honor our fallen hero, with his name, The Taylor Force Act. Personally, I and supporters of Church4Israel, have been lobbying for the passage of the Taylor Force Act since 2016. 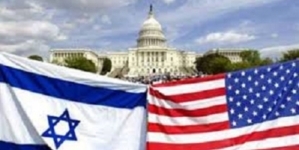 Christians United for Israel – Action, AIPAC, American Israel Coalition for Action and several others groups have been a strong voice to Congress on this issue as well. It is the strength of not just the Jewish voice, but the Christian voice to Congress that helps make these things happen. Fifteen total Americans have been killed by Palestinian terrorists and are listed in the Jerusalem Post. This includes 76 year old Richard Leikin, shot in the head and stabbed in 2015 in Jerusalem. Also in 2015, Ezra Schwartz an 18 year old from Massachusetts was one of three victims of a terror attack in the west bank. In 2014 Gilead Shear, 16 years old, was one of three teenagers kidnapped from a bus stop and killed. 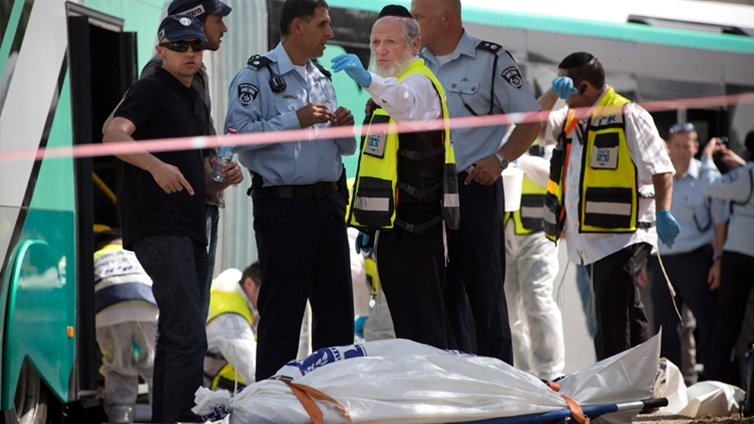 A three month old baby of American parents was killed also in 2014 in a car ramming attack on a light rail station in Jerusalem. The original Taylor Force Act had 168 co-sponsors in the House and passed by voice vote in December 2017. It moved into the Senate with 32 bi-partisan co-sponsors. Because it involved a funding issue, rather than a stand-alone vote it was placed in the omnibus spending bill. It is now U.S. law. There is security assistance aid that will still go to the PA for their cooperation with Israel at security checkpoints. This is to prevent the type of attacks Israel has experienced from Hamas in Gaza on the eastern shore. Missiles, car and bus bombings, IED explosives and other massive terror attacks have been averted by security cooperation with Israel. This security cooperation is assisted by U.S. funding. The Palestinian Authority will feel the pain of this bill. They must stop giving their citizens training and incentives to hate Jews and commit terror.